When I was working in NYC, I would frequently take the Chinatown bus to Hartford, CT (Whew! Lived to tell about it!) for the weekend bussing tables and helping out at my aunt and uncle’s Vietnamese restaurants. One of my task was to make the sinh to (fruit shakes). They have a variety of fruit flavors from durian, strawberry, pineapple, soursop, but my favorite is avocado. Sinh to is a very common dessert in Vietnam and with the abundance of fresh, exotic fruits, it’s no wonder you can find sinh to stands at almost every corner. Ripe avocados should be firm but will yield to gentle pressure when held in the palm of the hand and squeezed. Color is not always accurate. Slice lengthwise and split in half. To remove the pit, place the avocado on a cutting board and with sharp knife, strike the pit–knife should now stick to the pit for easy removal. Combine ingredients in blender and puree until it thickens. Taste and make final adjustments on sweetness or consistency by adjusting amount of ice/half and half. 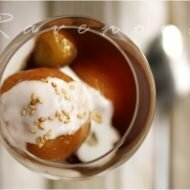 So rich, yet refreshingly delicious! and my aunt’s who coincidently opened her first resturant in 1988.. I love avocado shakes, but haven't had one for ages. Thanks for the great recipe! This sounds so tasty. I haven't ordered an avocado shake but am always tempted on bubble tea menus… I will definitely try this recipe, slimmed down a little. Yum! I've always been a fan of Sinh To Bo! I'll definitely be whipping some of these up when I get more avocados! yeah! totally craving for an avo shake.! 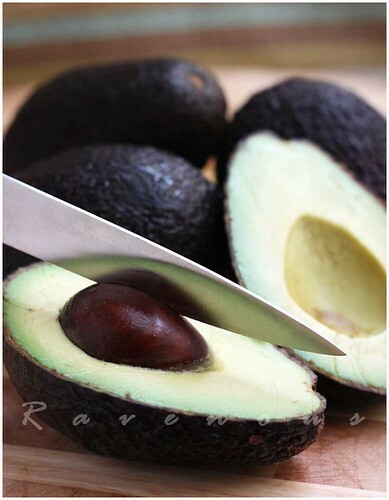 hmm… just a thought… ripe avos are not always purplish in colour – it depends on the variety. Seamaiden: Some boba does taste pretty good with it and my relatives restuarant also has that option. Hummingbird: So glad the spiced candied kumquats worked out for you. Food Addicts: We really should put the magic bullet to use! Stoplookingatfood: You're absolutely right–color is not the most accurate! We made the correction. Thank you for pointing that out. Whoa. I go to school in Hartford, and have been meaning to check those two places out. Any particular dishes you would recommend there? ricediaries: My uncle's place at pho 501 built his reputation on pho and bun bo hue. For 6 days out of the week that's all he serves. There's not much of a menu other then some drinks. On Sunday's only open till about noon and has a special Mi Ga with chicken soup w/ egg noodles that always runs out so pple get there really early. My aunt's place has more variety in addition to the pho and bun bo with banh xeo, broken rice dishes and vermicelli dishes…and the sinh to. I would go for the banh xeo if you've never had that before. An avocado shake sounds so good! Chow and Chatter: Thank you for visiting and taking time to comment! Justine: definitely try and let us know how it goes! Kevin: It is and so addicting.. Along with durian shakes, avocado shakes are always tops with me. I made the avocado shake tonight. Now I know what sweetened avocado tastes like. 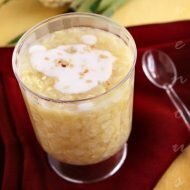 Thanks for posting the recipe! pleasure palate: Pretty much any asian fruit shake tastes good…we love durian and soursop too. hummingbird: Awesome! We hope you like it and hope to see that post soon. A good avocado can be chopped and dropped atop a salad, be smashed into a guacamole, be pureed into a shake, or eaten as-is with a dash of lemon and a sprinkle of salt and pepper. amanda: Those are all great suggestions. 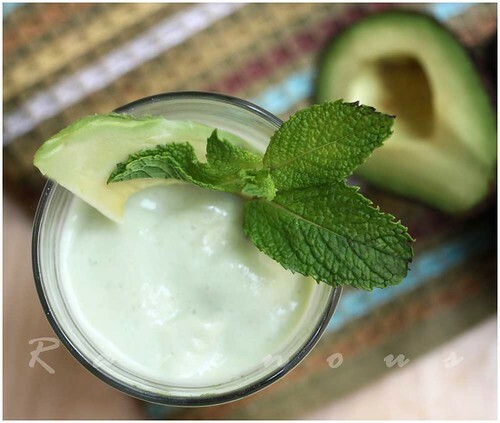 We love as eating avocados shakes on a hot summer day. Nhung: Thanks for taking the time to comment! We love our readers who lurk, regardless! Hope you enjoy their food…my uncle's specialty is mi ga on sundays..but you have to get there before 11 since they run out by noon! My aunt's restaurant has more variety of Vietnamese foods. Tell them their nephew sent you! 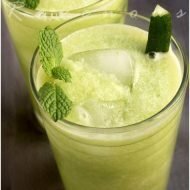 My Husband and I also made avacado shakes, they were delicious! My Husband got so excited when I told him I got the recepie. We love these, I think we'll make more tonight! Thank You! Gloria: So glad you enjoyed the sinh to bo! Next time take photos and send it to us! Thank you for the recipe! I tried my first avocado shake only a few weeks ago along with a durian shake! Loved them both!